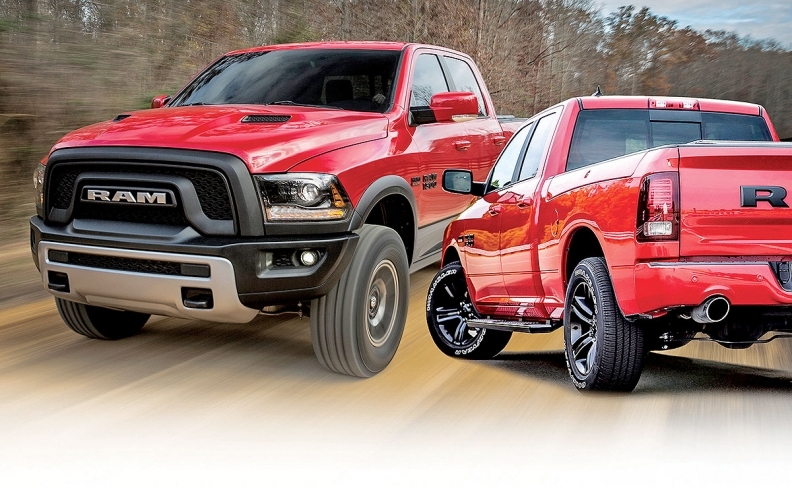 FCA is relying on the previous-generation Ram 1500. It will continue to be built at least through 2018. DETROIT — Quality and supply problems plaguing the redesigned Ram 1500 pickup's launch are not enough to make Fiat Chrysler Automobiles CEO Sergio Marchionne spend the night on the factory floor, a la Tesla's Elon Musk. "I'm not sleeping on the floor," Marchionne said during the company's earnings call last week. "You need to be Elon's age to do that. I'm too old for that crap." But Marchionne, 65, is not above spending more than $300 million to fix the problems that have put the 2019 truck's ramp-up well behind schedule. Marchionne conceded that the pickup's launch — key to FCA's strategy to hit aggressive 2018 financial targets — has been fraught with problems. He said FCA's Sterling Heights Assembly plant, which began building the truck in mid-January, is "probably running today at 60 percent of cycle. That's not where we need to be. We allowed enough time in 2017 to get that installation up, but it's proven to be challenging." A revised production calendar from March shared with Automotive News indicates that FCA plans to run the plant every weekend and every holiday through Labor Day to get production of the new-generation Ram up to speed. FCA dealers have begun receiving the 2019 pickups, but they have been limited to versions with the 5.7-liter V-8 engine, which are rated at the same 15 mpg city/22 highway/17 combined fuel economy as the previous-generation truck. As of late last week, neither the 3.6-liter V-6 variant nor the 5.7-liter mild hybrid variant, both with a belt-drive generator and 48-volt battery, had received a fuel economy rating from regulators. Marchionne told analysts that while the automaker is working out the kinks in the launch, it is relying on the previous-generation Ram 1500, which will continue to be built in the Warren Truck Assembly plant about 10 miles from Sterling Heights at least through 2018 and possibly into 2019. Still, sales of the previous-generation truck have not been stellar. In fact, FCA this month is offering incentives to U.S. dealers who add new trucks to their service loaner fleets and count them as sales. In March, U.S. sales of the Ram pickup fell 11 percent, and volume is down 13 percent through the first three months. Sales of the Ford F series increased 7 percent last month and are up 4.3 percent through March. Chevrolet Silverado sales rose 24 percent in March and are up 5.5 percent for the year. A union source in the plant told Automotive News that suppliers are having difficulty "keeping up" with building two versions of the Ram 1500 simultaneously. The source said the Sterling Heights plant was still undergoing construction, even as workers built new Ram 1500s, and that some workers still lacked proper training. The source, who spoke on condition of anonymity, said more than 2,500 2019 Ram 1500s were in holding areas near the plant awaiting repairs before they could be shipped. A supplier source indicated that the problem is electrical, but did not elaborate. Marchionne has said FCA needs the launches of the 2019 Ram 1500 and redesigned Jeep Wrangler to go smoothly to help the company achieve its financial goals for 2018, his last year as CEO. He and CFO Richard Palmer confirmed the company's 2018 guidance last week that it would end the year with more than 8.7 billion euros ($10.5 billlion) in adjusted earnings before interest and taxes, and with more cash on hand than debt for the first time since Fiat took control of bankrupt Chrysler in 2009. In the first quarter, FCA posted adjusted earnings of 1.61 billion euros ($1.96 billion), an increase of 5 percent, and cut its debt in the quarter by $1.6 billion.